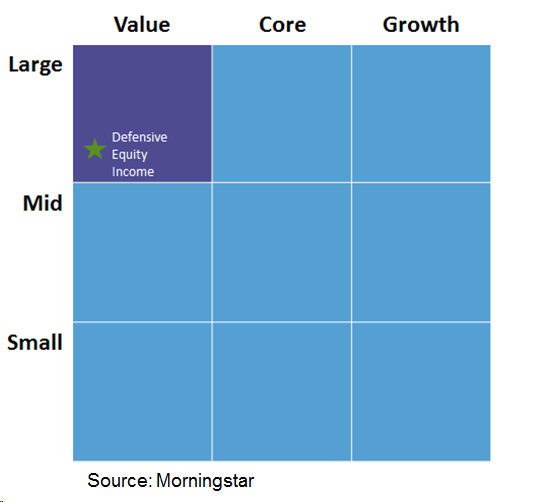 The Style Box, which was developed by Morningstar in 1992, provides an intuitive framework for equity investing, splitting the entirety of the opportunity set along the size (large, mid small) and value/growth segments. Since its inception, investors have embraced the Style Box as a means of balancing risk exposure and gaining diversification within their equity portfolios. However, investor experience has not always been as smooth as advertised, especially during periods of market turmoil when seemingly diversified portfolios fail to live up to expectations. In an ever more challenging environment to generate long term alpha net of fees, investors are considering new tools to shore up traditional methods and looking into outcome based portfolio construction approaches. This need has led to the rapid rise in popularity of smart beta strategies over the past decade. However, some investors have shied away from these approaches, unsure about how to deploy them. We believe that smart beta can be utilized within the traditional style box construct to help investors achieve their desired portfolio outcomes. Investors can use smart beta approaches designed to capture stocks with certain fundamental characteristics that are not captured in the style box (such as low volatility, dividend yield, quality and momentum, among others). By adding other dimensions to the style box, smart beta can work to further diversify and enhance traditional investing styles. In this piece we will focus on how Defensive Equity Income can do this within the value sleeve. Cyclicality: Value investing can be in and out of favor for prolonged periods of time; as such, investors must have a long-term view to realize the benefits. Trying to tactically time when the factor is in or out of style can be challenging to realizing long-term growth. Drawdowns: Market ebbs and flows can create value opportunities; however, at times, markets can get overly pessimistic or overly optimistic on certain sectors or segments of the market, leading to sharp drawdowns in value stocks. Stability: Value stocks may exhibit more volatility than the market as investors often disagree about their future potential for these “out of favor” stocks. Blending traditional value strategies with a Defensive Equity Income strategy, can allow investors to weather the short-term emotional challenges associated with value, thus allowing them to fully harvest the value premia. A Defensive Equity Income strategy invests in dividend-paying stocks with strong earnings and profitability, while aiming to avoid the more risky ones by penalizing companies with higher price and/or earnings volatility. The first Figure below compares QS’ Defensive Equity Income strategy to active value peers and the Large Cap Value Index across four commonly used valuation metrics. Defensive Equity Income focuses on high earnings yield (E/P) companies, which results in a low overall price-to-earnings (P/E) ratio, this differs from traditional active and passive value funds which tend to focus on low price-to-book (P/B) stocks. The companies that a Defensive Equity Income strategy tilts toward tend to be in favor at very different times than securities targeted by value and growth funds, thus resulting in different overall sector style exposures as illustrated in the cyclical versus non-cyclical break down in the chart to the right. This can lead to enhanced diversification, an increase in the consistency of returns within the value sleeve, and overall portfolio, as well as a reduction in risk. Source: Bloomberg, Russell and Solactive Indices. Active Large Cap Equity Peer Median sourced from eVestment. Data as of December 31, 2018. Large Cap Value Index represented by the Russell 1000 Value Index. Large Cap Index represented by the Russell 1000 Index. Defensive Equity Income represented by the QS Low Volatility High Dividend Index. Sector Exposure based on GICS Sector Classification using the following assumption: Non-Cyclical Sectors (Consumer Staples, Health Care, Utilities, Telecommunications) and Cyclical Sectors (Consumer Discretionary, Energy, Financials, Real Estate, Technology, Industrials and Materials). The QS Low Volatility High Dividend Index was launched in December 2015. Data prior to the launch date is back-tested data (i.e., calculations of how the index might have performed over that time period had the index existed). There are frequently material differences between back-tested performance and actual results. Past performance -- whether actual or back-tested -- is no indication or guarantee of future performance. The Index was calculated jointly by Solactive and QS Investors. Solactive is paid by QS Investors. What makes a Defensive Equity Income Strategy complementary to traditional value? 1.) Smoother returns stream: Value investing can be in and out of favor for prolonged periods, so investors must have a long-term view to realize the benefits. An allocation to defensive equity income can improve diversification between the value and growth sleeves as well as within the value sleeve, reducing cyclicality in performance. 2.) Drawdown Protection, More Balanced Portfolio Profile: Markets can become pessimistic, creating value opportunities; however, at times markets can get overly pessimistic leading to sharp drawdowns. A Defensive Equity Income strategy can reduce average drawdowns, providing portfolios with a more balanced profile. 3.) Stability: Value stocks may exhibit more volatility than the market as investors often disagree about their future potential for these “out of favor” stocks. An allocation to Defensive Equity Income can provide a favorable balance between absolute return and relative risk/return characteristics. Source: 10-Year monthly return data as of December 31, 2018 based on the QS Low Volatility High Dividend Index and Russell 1000 Value Index. Large Cap Growth Index represented by the Russell 1000 Growth Index. The QS Low Volatility High Dividend Index was launched in December 2015. Data prior to the launch date is back-tested data (i.e., calculations of how the index might have performed over that time period had the index existed). There are frequently material differences between back-tested performance and actual results. Past performance -- whether actual or back-tested -- is no indication or guarantee of future performance. The Index was calculated jointly by Solactive and QS Investors. Solactive is paid by QS Investors. Top 10 Active Value Managers is a subset of the largest active value managers based on Institutional AUM and required 10-year track record as of December 31, 2018, with performance data gross of fees. This group includes: Barrow, Hanley, Mewhinney & Strauss Large Cap Value, LSV Large Cap Value, Eagle Capital Eagle Equity, Harris US Equity, Davis Large Cap Value Equity, Aristotle Capital Value Equity, Putnam US Large Cap Value Equity, Vulcan Value Partners Large Cap, Diamond Hill Large Cap and Brandywine Diversified Large Cap Value. Calculations based on eVestment methodology. Data for 50%/50% portfolios shown above reflects quarterly rebalancing. In dealing with today’s market challenges, investors will have to increasingly think outside of the box to meet their goals. With an ever increasing number of tools at their disposal investors will need to seize the opportunity to consider new ways to deploy them. Looking at styles in conjunction with smart beta allows investors to further refine their equity portfolios, allowing them a better chance at achieving their long-term objectives. Past performance or any prediction or forecast is not indicative of future results. No representation or warranty is made as to the efficacy of any particular strategy or the actual returns that may be achieved. The value of shares/units and their derived income may fall as well as rise. An investment is not a deposit and is not ensured by the Federal Deposit Insurance Corporation or any other government agency or by QS Investors or any of its affiliates, and is subject to risks, including possible loss of principal amount invested. Please note an investor cannot invest directly in an index, and unmanaged index returns do not reflect fees, expenses, or sales charges. Investment management and other fees are described in Part 2A of QS Investors’ Form ADV. Index providers (e.g., S&P, Russell Investments, MSCI Barra and FTSE) are the sources and owners of any index data contained or reflected in this document and all trademarks and copyrights related thereto. Unless otherwise indicated, this is QS Investors’ presentation of the underlying index data. Such data may include a redefinition of index sector and regional groupings in accordance with QS Investors’ unique classifications. The index providers are not responsible for the formatting or configuration of this material or for any inaccuracy in presentation thereof. Investments are subject to risks, including possible loss of principal amount invested.